I would like to welcome you to the start of the 2018-2018 school year! 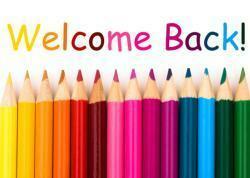 I am looking forward to meeting our new students and their families, and to welcome back our returning students. Blades Elementary is a great school, with a caring staff. Our staff works hard every day to make our students feel comfortable and to encourage all our students to succeed! As we begin a new school year, we understand that students (and parents) may be anxious about having a new teacher and making new friends. Our teachers have many activities planned for the beginning of the school year to help students make the transition to a new grade. Our teachers will be teaching the students about the rules at Blades Elementary and about our expectations for student behavior. We follow three school-wide rules: Be Respectful, Be Responsible, Be Safe. We will be teaching the students how to follow these rules in all areas of our school. We encourage our parents to be active in their child’s education. Please check your child’s “Blue Jay Folder” every night. Any graded papers or important school information will come home in this folder, including field trips, school events, and classroom updates. After checking the folder nightly, please put in the folder any absence notes or other information for your child’s teacher. This allows us to have an open line of communication with you about our school and your child’s progress. We also ask that you read with your child at bedtime every evening. This activity is extremely important as our students are learning to become readers. Even after your child can read on his/her own, it is still important to read aloud and discuss books. I look forward to working with each of you this school year! I have an open door policy, and I welcome your questions or concerns at any time. If for some reason I am not immediately available, the secretaries will be happy to take a message and I will return your call. As we begin the school year, there are many different ways for you to connect with Blades Elementary School. Please check our school website regularly for information and updates. We also have a Facebook page and a Twitter account. We will be posting pictures, information, and upcoming events!! !